Non-resident Indians have been traditionally attracted to investments in the real estate sector because of currency exchange rate and easy laws for investments by NRIs under the Foreign Exchange Management Act. Between 2000 and 2014, he said, NRI investments in the Indian real estate reached substantial levels ranging between 10% and 18% a year. But there was a drop because of the slowdown in the market from 2015 and that continued till last year. “Besides, there was a slew of reforms and policy changes such as demonetization, RERA and GST. 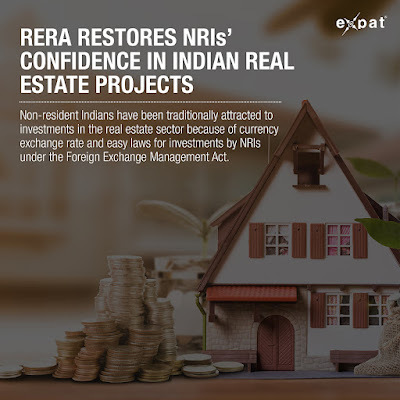 The combined effect was a decrease in investments by the NRIs in the sector. The worst hit was residential real estate market. But after RERA, the sector is finally reviving,” Puri said.